Many of the Licensed Massage Therapists at Harmony Massage have special training and experience in treating injuries from automobile accidents. The positive changes that can happen using massage to treat injuries is one of the most rewarding jobs that a Massage Therapist can do. Harmony Massage can often bill automobile insurance for treatments related to automobile injuries. 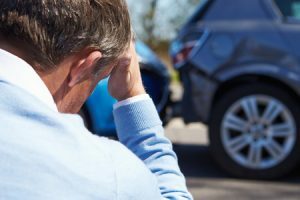 When a person has Personal Injury Protection (PIP) on their automobile policy, medical expenses are covered up to a certain amount, no matter who is found “at fault” in the accident. While Massage Therapy in general is valuable in helping to relax and maintain health, Injury Treatment Massage can be a tremendous aid in relieving pain, increasing mobility and speeding up healing after an accident. Massage can help to heal soft tissue damage and helps to alleviate pain from accidents. The soft tissues include the muscles, tendons and ligaments of your body. Damage to the soft tissues can cause debilitating pain. Soft tissue damage doesn’t show up on x-rays and often isn’t checked for during emergency room visits after an accident. The pain from soft tissue injuries often isn’t present immediately after an accident. It may start days or weeks later. It is important to get care as soon as possible if a soft tissue injury occurs. Soft tissue damage from automobile accidents can include whiplash, migraines, neck and back injuries and muscle spasms to name a few. Massage therapy can alleviate and even help prevent these and other accident related injuries. Massage can have other benefits such as relief of the shock and trauma that an accident can cause to the nervous system, encouraging blood circulation which can help speed the healing of injured tissues, and assisting in the function of the lymphatic system which can help reduce swelling.